Fluid Exercise Physiology arose from personal tragedy, which highlighted the need to support people undergoing treatment for cancer or other serious medical conditions such as stroke, sceptic shock, inflammatory conditions. Our first-hand experience gave us clear understanding about the difficulties people encounter when facing serious health issues. Most of us realise that diet and exercise are important for good health, but do not understand that exercise can dramatically improve your odds against mortality. The most difficult part is overcoming the common belief that people with serious medical conditions should be ‘resting’ or ‘taking it easy’. Many excuses are offered not to exercise most of which are valid, however the benefits of targeted exercise far outweigh the excuses not to! Seeking professional support is important for recovery, especially when treatment finishes and medical support decreases. This phase is known as ‘the fight after the fight’ and is often considered more difficult than the treatment itself because there is an expectation for you to ‘return to normal’, when sometimes, ‘normal’ is years away. Our aim is to “bridge the gap between treatment and life” and provide that often missed support between treatment and normal life. Our challenging journey brought overwhelming support from people far and wide. So humbled by this experience, we felt a strong we need to ‘pay it forward’. Our unique experience, skills and knowledge enables us to help others with their own challenging journeys with a deeper understanding and empathy. We also endeavour to be a charitable business by supporting charities, communities or people that make a difference in this world. 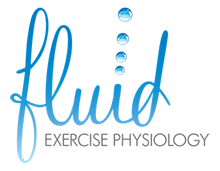 Our name Fluid Exercise Physiology is derived from our love of water. Water is cleansing, relaxing and recharging. Bodies of water, like the ocean, can be turbulent, exhilarating and calm depending on the circumstances. The idea of ‘Fluid’ is that the changes which result from seeing an EP should flow with your body and your life. The bubbles in our logo represent air bubbles rising, as if we are about reach the surface to take a deep breath! Anyone who has been held underwater in the surf will understand the feeling when we finally reach the top and breathe. Often, we experience this same turbulent feeling when treatment regimes make us feel not in control of our bodies. Starting an exercise program helps us regain control of our bodies much like this deep breath! 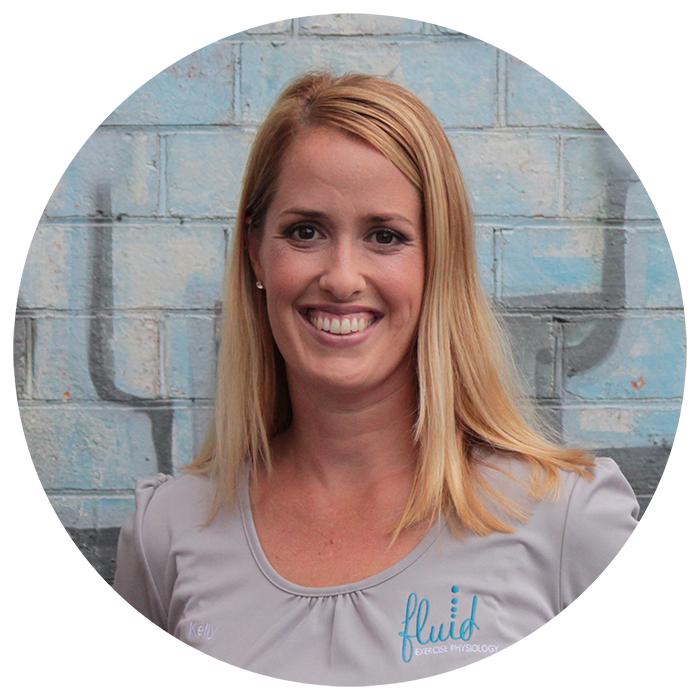 Kelly Prosser is an Accredited Exercise Physiologist registered with Exercise and Sport Science Australia (ESSA). 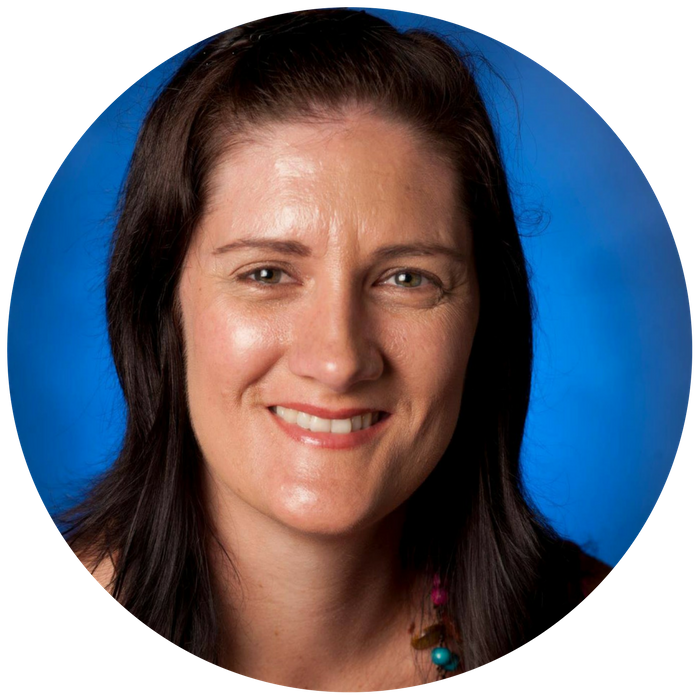 Since graduating from Queensland University of Technology (QUT) with a Bachelor of Applied Science, Kelly worked in both hospital and private practice for over 10 years. Her experiences include working at the Wesley Rehabilitation Centre where she developed a unique understanding of with people with chronic pain. Kelly’s work in private practice exposed her to a large variety of chronic conditions which she treated successfully able to treat through exercise prescription. Kelly is also a Stott Pilates teacher trained in Mat, Reformer and Zenga instruction. Kelly is honest, straightforward and professional and is always ready with a smile, to help even the most anxious of people feel at ease. With a solution-based focus, Kelly works to develop individual plans for people to achieve their goals, without judgement or ridicule. Kelly’s favourite part about her job is helping people achieve more than they even dared to dream! Shane Prosser is a cancer survivor and trainee personal trainer. Shane was diagnosed with Leukaemia in 2010 and again in 2012. He had a stem cell transplant in 2013 and although it has been a long recovery, he is now settled into a new normal and enjoying all the same activities he did prior to diagnosis. Shane’s role in Fluid Exercise Physiology is the Business Operations Manager who ensures that we maintain high operational standards. 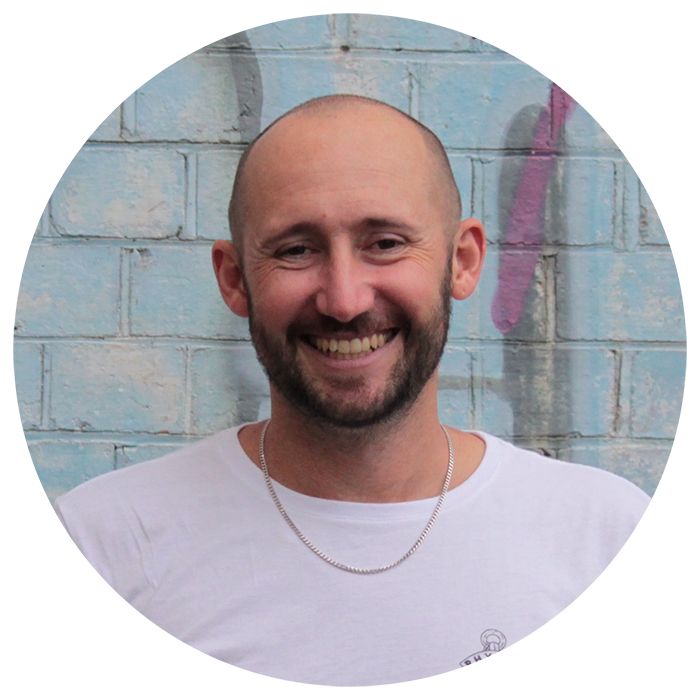 Shane is passionate about supporting others through their treatment and is available to talk and listen as a fellow survivor to anyone who needs ear. Merendi has been working as an Exercise Physiologist in the areas of occupational rehabilitation, injury rehabilitation and chronic disease since 1999. She has been in private practice for 10 years working within a range of areas including Workers Compensation, Corporate Health, Chronic Disease Management and Occupational Rehabilitation. Merendi’s individually developed exercise programs are for people of all ages and fitness levels. She has a fresh and vibrant, but structured approach to her programs, thus ensuring that you stay highly motivated and focused on achieving your goals, whilst also having fun along the way. Since becoming a mum in 2004 Merendi now understands and appreciates the importance of good health and exercise during pregnancy and after giving birth. Since this time she has developed a specialist interest in developing specific exercise programs for women during their pregnancy and post-birth, due to her own experiences of pregnancy, childbirth and raising children. Merendi herself knows the time constraints of mothers and offers exercise programs tailored to fit in with every mother’s busy life. Merendi is available at our Ashgrove clinic. A referral from a General Practitioner is only required if sessions are to be claimed under Medicare’s Enhanced Primary Care (EPC) plan, WorkCover, DVA or equivalent. It is useful to accompany any referrals with information such as relevant medical history and a letter explaining the purpose of referral to Exercise Physiology services. This ensures an integrated approach to patient education and health outcomes. Each session with your Exercise Physiologist is personal and dependent on individual circumstances. Most sessions are between 30 – 60 minutes either performing exercises, planning exercise or lifestyle changes. So be prepared to move in each session, so wearing comfortable clothing, suitable shoes and bring along a towel and water bottle. Initial Consultation – Usually one hour and involves obtaining a medical and lifestyle history, goal discussion, physical assessments, exercise planning, and learning new, or refining old, exercises. Subsequent Consultation – Range from 30 – 60 minutes depending on the clients needs. The focus is eventual self-management, so education is an integral of the overall plan. Sessions may involve exercising, or discussions about, and planning of your exercise for the future. Fees – vary depending on location, duration and requirements for each individual. Please contact us for more information regarding fee schedules. Rebates from private health or Medicare, with a relevant referral from your GP, may be applicable. Please contact your private health provider for more information about your cover in regards to Exercise Physiology. HOW IS AN EP DIFFERENT FROM A PERSONAL TRAINER? Exercise Physiologists are allied health professionals who educate, encourage and enhance self-management of healthy lifestyles and medical conditions through exercise. An EP treatment plan is specific to your health needs and often more intensive. Depending on your situation, you may need twice a week, one-on-one sessions. As you improve, the sessions will gradually reduce to monthly check-ups once you are ready to be more independent. At this stage, you may choose to do group sessions to enjoy the supportive environment created by like-minded people and to have a regular check-ups with your EP, when you no longer require the one-on-one attention. You are the leader of each session while the EP acts as your support team providing the expert health advice, but ultimately you make the final decision to implement recommendations. Personal trainers are fitness professionals that don’t require tertiary education. The typical PT business model requires an ongoing commitment of two to three sessions per week where they assume responsibility for your success.